All our double sided vinyl mat are of the highest quality materials we can find and they are custom printed in Canada! 1. 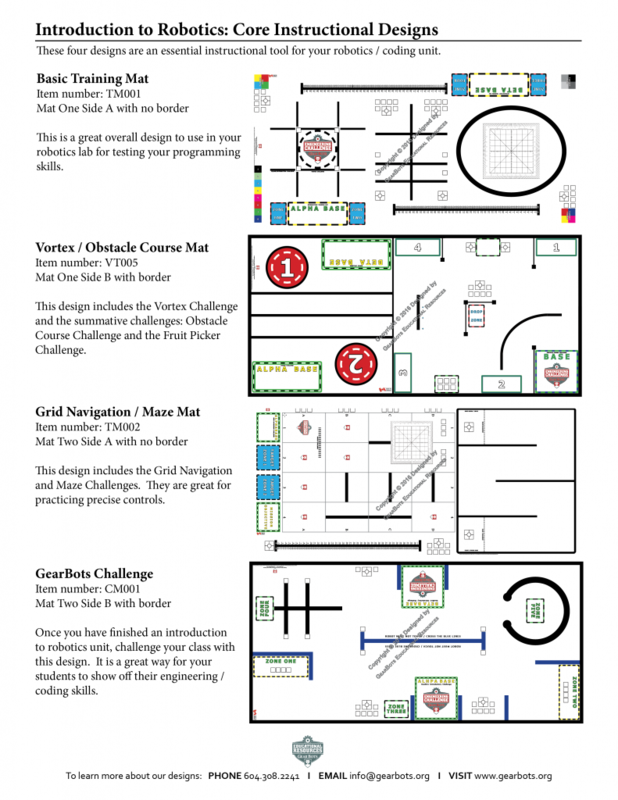 Introductory Training Mats These mats are a great resource for teaching the basic programming and logistical aspects of the light weight robotic platforms. They contain the basic features needed for teaching students how to precisely navigate around an area and react to environmental conditions. 2. Introductory Challenge Mats The purpose of these challenges are to train/teach the engineering teams the basic process and logistical aspects of completing a robotic challenge designed by the GearBots. 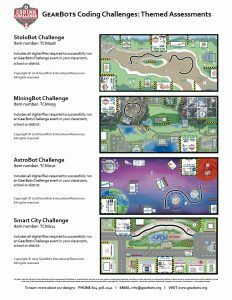 These challenges consists missions that reinforces the key concepts needed to compete in more advanced challenges. 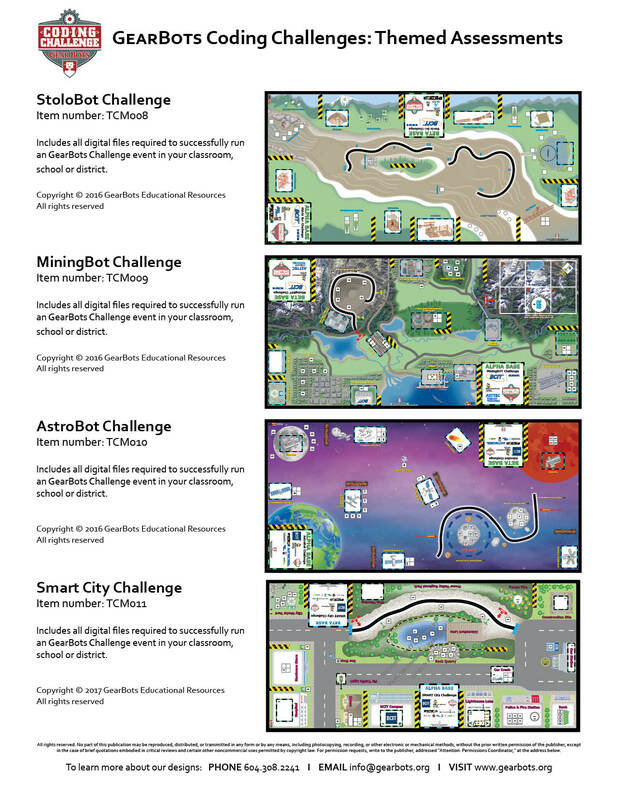 Points could be awarded for completion and accuracy of robotic programming and quality of engineering. Note: Heavy weight vinyl is very durable and can be rolled out and removed from the testing board within seconds. Allows for easy portability from one site to the next and is easy to store. Mats are sturdy enough and should last for many years with proper care. Cleaning is easy with a damp soft rag and a little bit of mild soap.